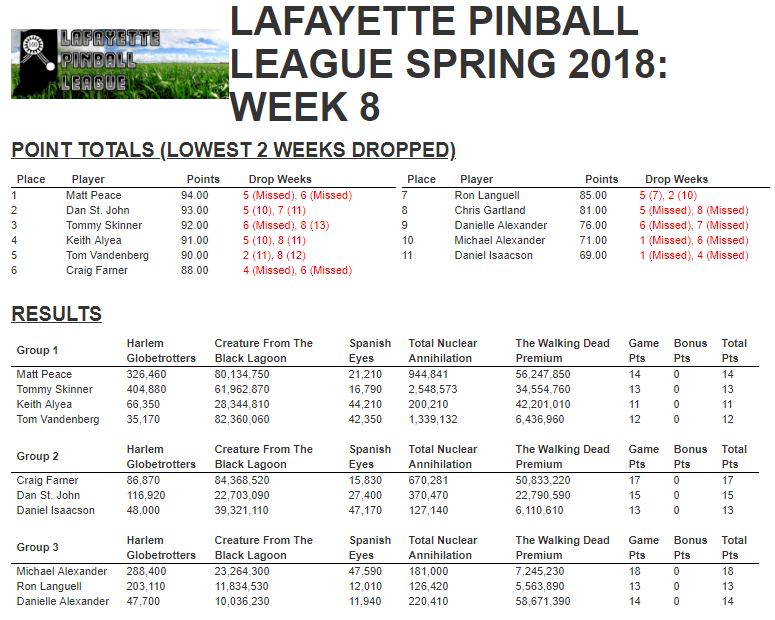 Here are the final standings for the season! Standings will be used for seeding in the tournament. Remember that next week is our Monthly Tournament, and then finals will be the week after on the 26th of June! We will take the whole month of July off as our summer vacation before we come back in August. Next week also features tournaments at Wizard’s World in Fort Wayne on Monday and at The Sinking Ship in Indianapolis on Wednesday!